There has been considerable concern recently about safety at a number of school crossings. To clarify some misconceptions I have copied details about the RMS School Crossing Supervisor Program below. One things that emerged during recent discussions with RMS is that it can take up to 14 weels to have an application determined, Supervisor training is about 2 days. The School Crossing Supervisor program is a state-wideprogram that contributes to the safety of infants and primaryschool students. School crossing supervisors help studentsuse the crossings on roads adjacent to or nearby schools.School crossing supervisors are provided where transportauthority guidelines and criteria are met. School crossing supervisors are provided to increase mobilityand safety around schools by enhancing the performance ofpedestrian traffic facilities. School crossing supervisorsprovide additional measures for the safe and efficientmovement of primary and infant schoolchildren. 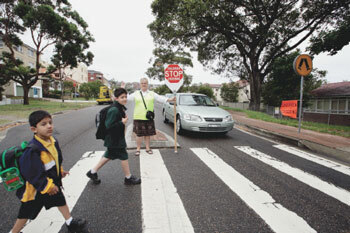 The School Crossing Supervisors program is an important component of the Safety Around Schools program. Transport authorities assess sites to determine their eligibility for a school crossing supervisor. Requests for a schoolcrossing supervisor need to be submitted in writing to Roads and Maritime Services by school principals. The Request for aSchool Crossing Supervisor (PDF, 232Kb) must to be signed by the principal and include details of the crossing beingnominated for a supervisor. The site must have an existing children’s crossing, pedestrian crossing (zebra) or combined crossing (children’s andzebra). The crossing must be used by infant and/or primary school children. The site must be located within a 40km/h school zone. The crossing must be used by a minimum of 50 unaccompanied infant and/or primary school children per houracross a road carrying 300 passenger car units per hour within the morning and afternoon school zone times. Heavyvehicles over three tonnes unladen are counted as two passenger car units. The site must be considered a safe working environment for a school crossing supervisor. Interested in becoming a school crossing supervisor? School crossing supervisors only work on gazetted school days in 40 km/h school zones. of the sports field at Chatswood High School Oval. There was significant support for the synthetic field conversion from the community. 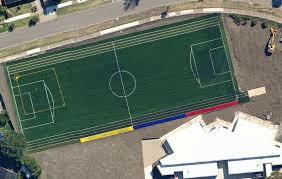 stands, the sports field is considered suitable for the Department’s purposes“. Needs Study are tabled in late 2015. 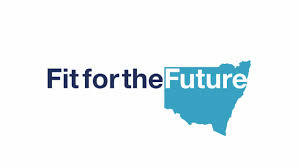 IPART has now released the methodology it will use to assess a Council’s ‘Fitness fir the Future’. Somebody has already coined the name for the merged Councils on the North Shore – North Shore Council. The Councils of Willoughby, Mosman, North Sydney, Hunters Hill, Lane Cove and Ryde have failed to come to agreement on merging. This plays immediately into the hands of the State Government appointed IPART to recommend new boundaries. Most Councils have focused on the three latter criteria. 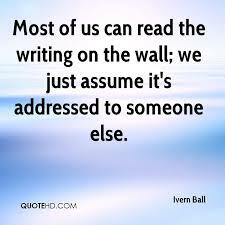 However, IPART has recently re-emphasised the importance of the first criteria. Upscale population density within Willoughby by around a factor of four. This would require high rise buildings (similar to the Chatswood and St Leonards CBDs) along main rail and bus routes plus other current residential areas. Given that Willoughby Council is only actively looking at staying the same or merging with one or two other Councils, the implied outcome is that we would need to accommodate a massive increase in population density – more high rise. The phrase ‘engage effectively across community, industry and governments’ has particular meaning. Developers have been arguing for many years the need to make development easier and less costly. The Government is already changing the Local Government and the Planning Act to cater to developer demands. Sixteen current rules are being axed. More will follow. Any Council not considering a compliant merger will need to demonstrate now, how they intend to make it easier for development to occur. A big ‘bugbear’ for many Councils is their political composition. Willoughby Council is a predominately party political free Council. The majority of Councilors are Independents. To the State Government this means representatives of the NIMBY (Not in My Back Yard) brigades. A likely outcome of amalgamations will be Councils more likely dominated either by Labor or Liberal parties. Both the Government and the Opposition see this as beneficial. Councils such are Willoughby are clearly in the Government’s sights. Most Councils, including Willoughby, have been focusing on financial parameters in mounting their case they are ‘Fit for the Future’. They will likely be blindsided by Government and ultimately amalgamated, probably by ‘boundary adjustments’ recommended by IPART.